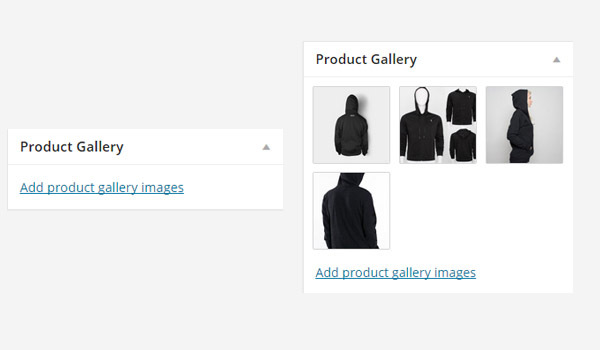 This tutorial will show you how to add multiple product images and manage product images gallery in WooCommerce A website is a set of related web pages typically served from a single web domain. A website is hosted on at least one web server, accessible via a network such as the Internet or a private local area network through an Internet address known as a uniform resource locator (URL). All publicly accessible websites collectively constitute the World Wide Web. Some websites require a subscription to access some or all of their content. Examples of subscription websites include many business(. ) " class="glossaryLink " >website . Managing Featured Image is an image that is selected as the representative image for Posts, Pages or Custom Post Types. The display of this image depends on the theme. Usually, the "Featured Image" metabox is visible on the Edit Post and Edit Page screens. However, if the button "Set featured Image" is not there, make sure it is enabled in the screen options on the top right. Featured Image is an image that is selected as the representative image for Posts, Pages or Custom Post Types. ‘ class="glossaryLink " >Featured image is the main image for your product. It is the image which will be displayed within your product loops and the initial focus of the image gallery on your product details page. 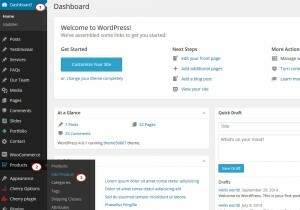 Log into your WordPress Dashboard is the first screen you see when you log into the administration area of your blog. Name your new product. You may add long and short descriptions to it. Then click on Set Featured Image is an image that is selected as the representative image for Posts, Pages or Custom Post Types. Once you are in Images gallery, upload the Featured Image is an image that is selected as the representative image for Posts, Pages or Custom Post Types. ‘ class="glossaryLink " >featured image and determine the image settings, click on the blue Set Featured Image is an image that is selected as the representative image for Posts, Pages or Custom Post Types. ‘ class="glossaryLink " >featured image button to set it as the Featured Image is an image that is selected as the representative image for Posts, Pages or Custom Post Types. With the Featured Image is an image that is selected as the representative image for Posts, Pages or Custom Post Types. ‘ class="glossaryLink " >Featured Image being the primary image, product galleries simply display all images attached to a product. Upload new images to Image gallery and select them using the same method as setting Featured Image is an image that is selected as the representative image for Posts, Pages or Custom Post Types. ‘ class="glossaryLink " >Featured image . 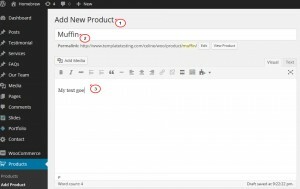 To remove an image from the product gallery, hover is to hold the mouse pointer over a defined area on a web page without clicking, in order to cause some changes to appear. For example, the text or link may become underlined or change color while the cursor is hovering over it. Hover effects can be also applied to images. 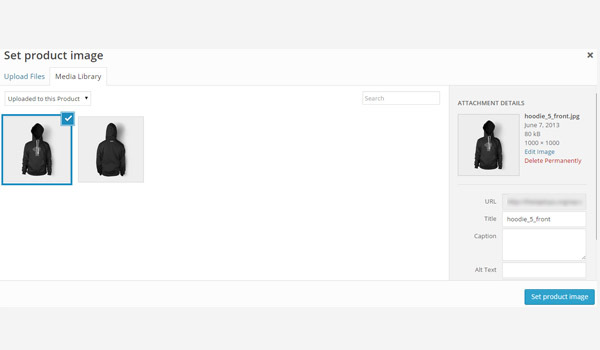 With hover effect images change shapes, colors, position, etc. which makes the website look dynamic. In the previous articles we added different types of products in WooCommerce. Images in an online store provide a visual treat to the customers and give them a better idea about any product. 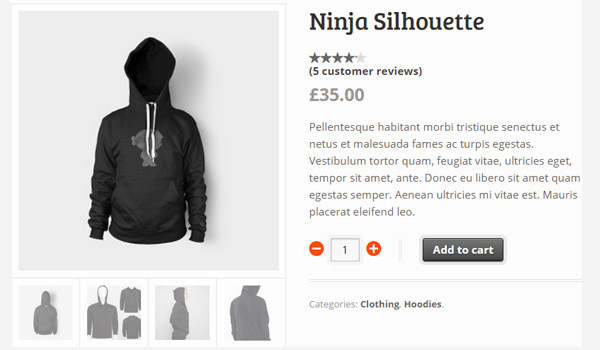 So in this article I will explain how you can add product images or product galleries. The Product Image, or more precisely the featured image, serves as the main image for your product. Each product has a featured image. You should include a clear featured image and ensure that there is no text on the image. It’s my personal experience that images with text over them are less visible and more messy, leading to a situation of low CTR (Click Through Rate), whereas the images with no text in them are clicked/viewed more, leading to more sales and better ROI. 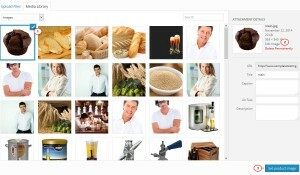 As an example, you can check the featured images of Tuts+ courses. 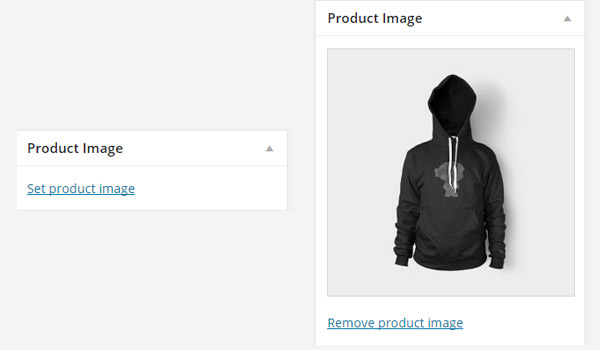 If you look towards the lower right side of the product editing page you will find a meta box for Product Image. You can set an image here by clicking Set product image. 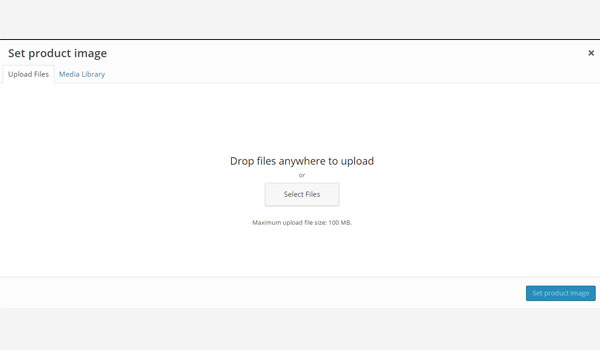 Once you click it, you will be directed to an image uploader like the one shown in the above figure. 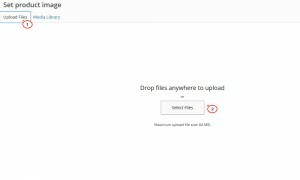 From here you can either upload a new image file from your computer or you can click Media Library to select an already uploaded image as your product image. Click the Set product image button once you are done with your selection. After this, click Save Draft (if the product is not published) or Update (if the product is published), and the product image appears on the front-end. Normally sites can have a single featured image, but an e-commerce site must have multiple images on a product to get better sales. Now the best practice here is to add at least three and at the most five images. Customers always need more than you provide them with. But that doesn’t mean you can add tens of images in gallery images. Gallery images are for a quicker view. If you want to add more images, you need to use the editor for the description of product. 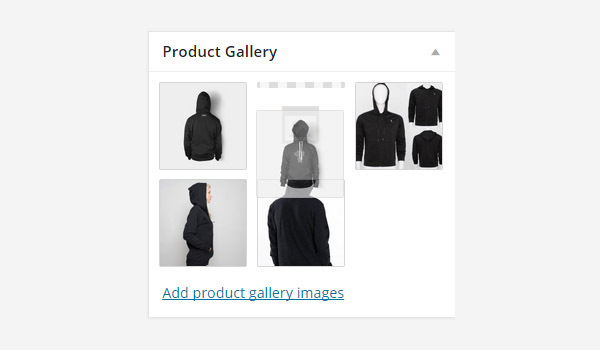 Product galleries will contain all the images related to a single product. A featured or product image will also be a part of this gallery, but will be considered as the main image. Once your images are uploaded, click Add to gallery. 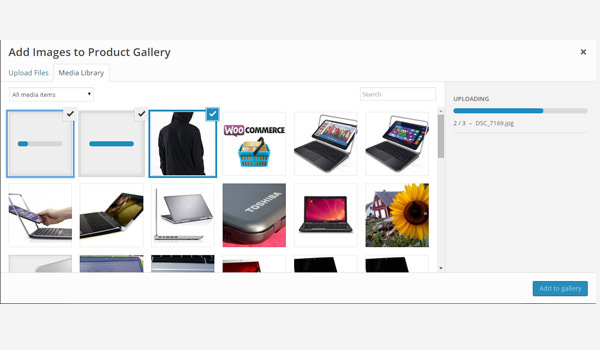 When you publish the product, these gallery images will appear at the front-end. The above figure shows the product image being displayed as the main image, and its related gallery images are displayed right below it. Customers may click any of these images and scroll through the entire gallery. 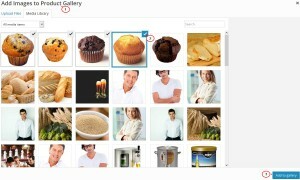 If you want to change the order of images in the gallery then you may drag and drop the images in the preferred order. 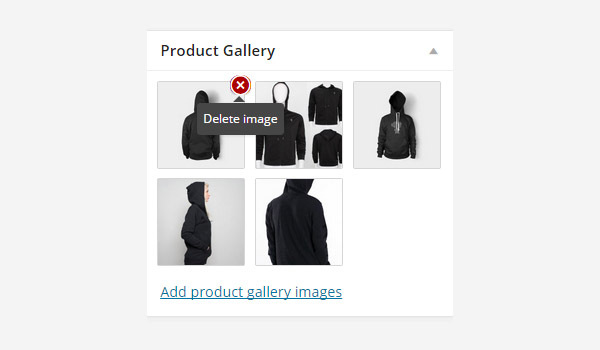 To delete or remove an image from the gallery, hover your mouse over the image you want to remove, and click the cross mark which appears in red. To confirm these changes again, click Save Draft or Update. 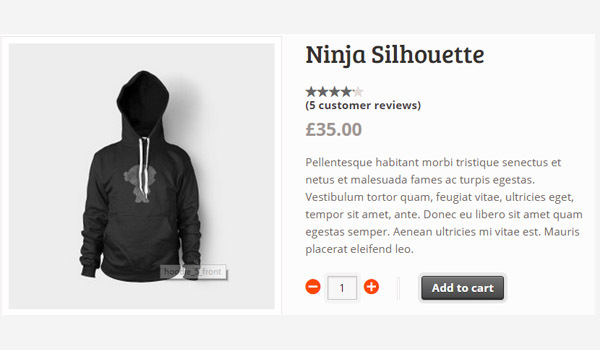 This is how you can add various images for your product in any online store. If you have any queries regarding this topic, you can comment below. 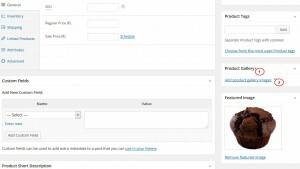 When WooCommerce sends order emails to your customers, by default it only includes the product name in the order items table within the email. However, it’s possible to add some additional product details here, such as the product SKU or product featured image. 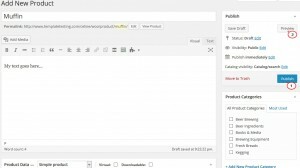 We’d previously written about adding information to WooCommerce order emails so that you could show product SKUs or product images within the WooCommerce order emails for customers. However, the process to do this was changed in a backwards-incompatible way in WooCommerce 2.5. 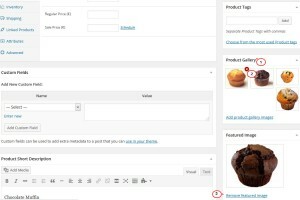 In previous versions of WooCommerce you were able to filter the entire email output, which made it possible to change whether images or SKUs were included. However, with WooCommerce 2.5, the filter to change the order items table is still there, but it does not give you all of the data you need to make changes to the order items table in the email in the same way. You don’t have access to the $args that are used in the template to determine what information to show or hide, so this filter pretty much doesn’t allow you to do anything directly. 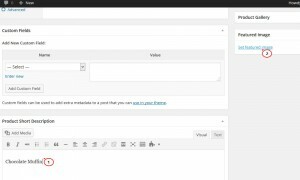 If you’re already using WooCommerce 2.5, it’s possible to change the information shown in WooCommerce emails, we just have to be a bit more creative in how we use this filter. If you follow this tutorial, be sure you know how to add custom code to your website and that you’re using WooCommerce 2.5 or newer. You can add product images to to your order emails with this filter, but we can’t modify the arguments used to get the template directly. Instead, we’ll have to call the $order->email_order_items_table() function again, but with new arguments to use. The reason this gets tricky is because if we call this function, it will call the filter we’re using, which will again call the function, which will again call our filter…you get the idea. We’ll get an infinite loop. To modify the email output this way, we’ll need to use a static variable as a flag. This will let us only run our code once so that the email output is modified, then our code will bail out after it’s run the first time. That’s a wrap! This will change the way the email order items table is output to include product images when emails are sent to customers. We can use pretty much the exact same code to enable product SKUs in WooCommerce order emails instead of product images. You can also add both SKUs and images to the order emails by adjusting the arguments to include both of them. The image size can be deleted if you want to use the default 32px by 32px size, or you can add your own size by adjusting the values below. You can learn more about Jilt and other ways to improve your emails in our guide to customizing WooCommerce order emails. 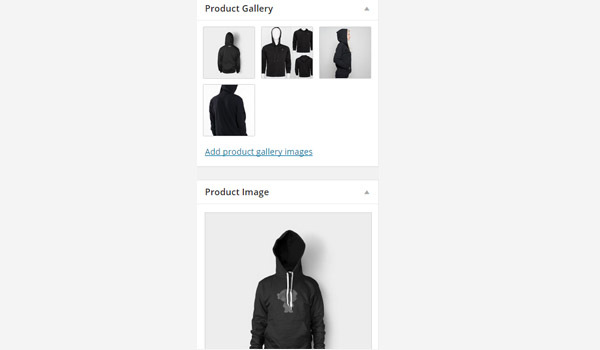 Adding product SKUs or product images to WooCommerce order emails is possible, and you can add both if desired, along with changing the size of your image as needed. Remember, the code outlined above is only for WooCommerce 2.5 or newer. If you’re still using an older version of WooCommerce, check out our previous tutorial for code compatible with your WooCommerce version. Very interesting read, thank you! Will be looking to implement this. Would you know a way to change the email so you have the PPP, number of products and total price? Afraid you’d need to override the order items and order details templates to add new columns, no easy hooks in place for this. I have just tried this, and it works perfect on the email send to the shop-owner, but the mail send to the customer is still without images. Do you have any idea what could be wrong here? I added the code to functions.php in my child theme. Afraid not, I’d used this exact code in my test for customer emails so something else may be altering the email templates after this code runs. Thanks for this! I added the snippet for SKU and Image…both are displaying in my back end confirmation email, but not the customer email. Meaning, when I receive an order, I see the image and SKU, but the customer isn’t seeing either in their confirmation. Any insight? Thanks again. Is there a way to have the SKU on its own line? There’s a snippet at the bottom of this section that should do the trick. Hey there. How can I use your code to only add the sku? Most of the code involves calling in imagery…which we didn’t want. Also, how would we output the order number into the body of the email like it used to? Now it only displays in the email subject line. Much appreciated! The instructions here cover adding SKUs. As for order numbers, this should still be included in every email unless you’re overriding whether it’s sent to an admin or not. Thanks for this useful guide. It worked great on the admin email, however just like the 2 people above in the comments, this did not apply to the customer confirmation email. Any help would be much appreciated. Hello, like many others I experience the same, where product photos show in admin email, but not for customers. I have tried to find info about this in 2.6, as you mentioned it has a new filter to make this easy. Any chance you could shed a bit more light on this`?